Our HOA website requires homeowners to register. We would like to keep some of our neighborhood communications strictly within our community to protect everyone's privacy. you must be registered and logged on. Click here to "Join Us" and create your member homeowner account. Registration is easy and only takes a few minutes. You will notice many new pages on this site, and a lot of potential areas for content. This site is meant to be dynamic - interactive - and informative. Homeowners may pay their annual assessments or account balances online. Please be careful when driving through our neighborhood. There is a lot of traffic on Majestic Oaks and Kindletree, as well as other streets in our subdivision. Some drivers use our streets as a "cut-through" to the neighborhood behind us, especially in the mornings and evenings. We all need to be constantly aware that children play around the intersections and many of our adults walk the streets for exercise. We do not have sidewalks and walking on the streets is the only option. 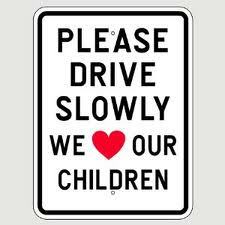 Please drive slowly when driving on our streets in an automobile or motorcycle. NOTE: Homeowners who register are opted-in to receive emails about association events, i.e. monthly meetings notice, neighborhood events, etc. It is legal to park your personal vehicle in the street in front of your home. However, on many occasions, there have been areas blocked from passage by parked vehicles. It is against the law to block any public street. This impairs the movement of emergency vehicles such as ambulances and fire trucks. It also blocks the garbage trucks from being able to access the garbage cans for pick-ups.